Welcome Taryn Brannen to our District staff! Taryn started May 1st in the District Office and is bringing a wonderful set of gifts to our district. She has excellent experience in data management and is a worship leader in the Core worship experience at Marvin church. Welcome her as you have an opportunity. I haven’t seen one in several years, but I used to see bumper stickers on the back windows of pick-ups that said, “C12B1”. As I recall, it was a promotional sticker for the Masons. C12B1 reads “See One To Be One”. I wonder how effective that membership drive was. Sometimes our churches take that approach to making disciples. We wait until people take the first step to become part of our church and then welcome them according to whether or not we think they will fit in. Faith sharing requires that we take some initiative to encourage people in their relationship with God through Jesus Christ. We are called to share God’s love in ways that build hope. Sharing faith, however, requires having faith. As pastors, it is our role to encourage a constant deepening of faithfulness in those we serve. Part of that growth in faith involves sharing faith with others. When our quadrants meet next Monday and Tuesday we will continue the discussion of how we equip and encourage our disciples to grow in their ministry of faith-sharing and invitation. Bishop Scott J. Jones will host the Texas Annual Conference Way Forward Live Stream on May 12, 2018 from 10-10:45 a.m. Commission on a Way Forward members Jessica LaGrone and Leah Taylor will join the Bishop to update us on recent decisions from the Council of Bishops and to answer as many live questions during that time as possible. Feel free to join us at St. Luke’s The Story, 3471 Westheimer (at Edloe), Houston, Texas or live at www.txcumc.org/bishoplivevideo (this page will not go live until May 12, 2018). Bishop Jones will also be available afterwards to answer questions on-line after the live stream. James F. Napolitano has over 30 years of combined law enforcement and private security experience. He has led seminars and has appeared on news programs as a security expert. Mr. Napolitano is currently the Chief of Police for the City of Montgomery, TX and the owner and President of Universal Safety & Security Solutions, LLC, a firm located in Conroe, TX. Mr. Napolitano has worked in the Oil and Gas Industry, the Montgomery County Sheriff’s Department and the U.S. Secret Service. With 22 years of service as a U.S. Special Agent, Mr. Napolitano has been involved in all aspects of protection for Presidents, Vice-Presidents, First Families, Dignitaries, and events deemed as high threats. James F. Napolitano has the expertise to answer your security questions and to help you implement proper security controls. Plan to attend and bring your questions. We look forward to seeing you at Conference. Note: There is no charge to attend. ****Our district website is currently under construction so be sure and check it in the near future for upcoming events! CORRESPONDANCE AND FUNDS WILL BE RECEIVED. Wesley House is a residence hall located in the heart of the Tyler Junior College campus and operated by the United Methodist Church. Located next door to Campus Safety and across from the Rogers Student Center, Wesley House serves as home to as many as 80 women and men. It is a Christian environment with opportunities for Bible study, worship, and fellowship. The staff includes an ordained minister and several Christian leaders, including Christian resident assistants and a community director. Lunch is served free to students of Tyler Junior College from 11am to 1pm on Tuesdays, as an outreach ministry of Wesley House. As many as 200 students a week will come to eat lunch, receive scripture cards, fellowship and participate in lunch time Bible studies. 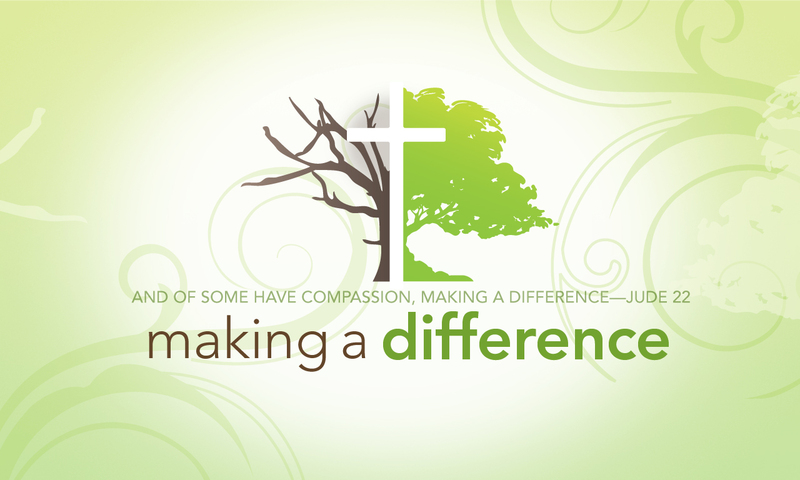 YOU CAN PARTICIPATE IN THIS VALUABLE OUTREACH MINISTRY! Cook a warm meal! Students love receiving hot meals prepared just for them! Popular menu items include chili, fried chicken, and pasta. Bring your meal ready to serve with all needed paper goods. Enjoy interaction with students as you serve! Contact Wesley House to schedule your special Tuesday! Send cookies! Homemade cookies are always welcome! Students love receiving them! Approximately 32 dozen cookies are needed for the students, and an extra dozen for the staff would be great! Contact Wesley House to let us know when you can supply cookies! Include info on your church, worship times and programs that would appeal to college age students in your cookie packs! Cash contributions to cover the cost of cardstock and printing of scripture cards are welcome. These cards contain a scripture passage, a welcome statement, contact information for prayer support, and the schedule of activities at Wesley House for the week. They invite students to participate in these activities. Your support of this important outreach to college students will be most appreciated! Registration is open NOW so go online and sign up for summer camp TODAY!! I often say that the three most important factors in a vibrant, healthy congregation are leadership, leadership, and leadership. Lay leader-ship is crucial, and we are working at developing the best laity we can. But laity tell me that the quality of their pastor is also very important. I am very proud that the Texas Annual Conference has a process for investing in young clergy leadership. The median age of active United Methodist clergy in our conference is 54 years old, which does not fare well for our churches in the next decade. The goal of the Emerging Leaders Initiative is to create a new generation of the United Methodist clergy for the future of the Texas Annual Conference. Thanks to the generous donors of the permanent endowment fund like Moody Methodist Permanent Endowment Fund, we currently have $5 million to identify, recruit, train, and support clergy across all our districts. But we still have a long way to go. As your Bishop, I thank you for supporting this effort in the past, and I am asking you to look to the future as well. Please consider ways to contribute to this fund to make sure the next generation of United Methodist leaders are within reach for our denomination. ELE works to attract, encourage & develop young people on their journey to ministry. Your church is encouraged to use special offering opportunities to contribute towards the endowment. We also have a new web space for young people in the Texas Conference, txumcyoung.space. This has information about our events, opportunities, trainings, forms, and lots more for our youth, young adults, and those that work with our young people. We also have a couple of monthly emails that we send out to those who work with the different groups. If you’d like to also receive them, let me know, and I’ll add you to the list. If there are any other ways I can be of assistance to your districts, please let me know. The Texas Annual Conference of the United Methodist Church has established three new regional offices and a new URL for Hurricane Harvey. The regional offices are being funded by a grant from United Methodist Committee on Relief (UMCOR) and are in Houston, Lake Jackson and Beaumont. More information can be found at www.txrecovers.org on how to reach the regional offices and how to donate to hurricane victims or be on a work team. “We still have thousands in our communities who have hurricane related damage. To be connected to one of our three regional offices, just fill out the forms at www.txrecovers.org and one of our project coordinators will be in touch with you by phone or email,” says Scott Moore, Mission Center Executive Director. The conference has raised over 1.5 million for hurricane recovery, but we still have a long way to go, Moore explains. And to do that The United Methodist Churches in the Texas Conference have been running social media, newspaper, radio and billboard ads throughout the Fall months. Money for the advertising was given by a generous grant from United Methodist Communications and other generous donors. The ads will be supported by posters, and a magazine, which every church and stakeholder will be receiving this week. Each piece is designed to create awareness, but also drive people to the website to give so we can continue rebuilding. The Texas Annual Conference has established three regional offices to help with Texas Recovers. If you need help please contact us below to submit a form requesting assistance. Someone will contact you as soon as they can.